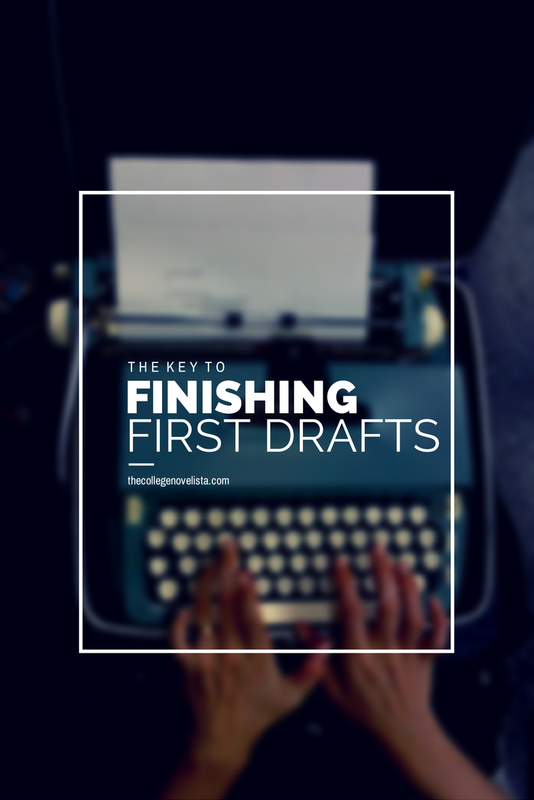 When it comes to finishing a first draft, the best way to succeed is to just get it written. Focus on getting the words on the page. In the words of author Anne Lamott: “The first draft is the child’s draft, where you let it all pour out and then let it romp all over the place, knowing no one is going to see it and that you can shape it later.” Seems simple, doesn’t it? Many writers struggle to finish their first drafts because they’re focused on perfection. They believe other authors craft pristine first drafts that are shipped off for publication right away. Here’s the secret: your first draft is going to be terrible. You’re going to feel like garbage if you read through what you’re writing. If you try to edit as you go along, you’ll only get discouraged. Write as fast as you can. Pour your thoughts out on the paper without thought for what it sounds like. You can go through it later and fix everything. That’s what revision is for, after all. When it comes to finishing first drafts, don’t get it right; get it written. How do you keep yourself from editing as you go along? What are your tips for finishing first drafts? Discussion: Do You Keep a Writer’s Notebook? “When it comes to finishing first drafts, don’t get it right; get it written.” It took me a long time to figure that out, and it used to cost me a lot of anxiety/writer’s block which often shut me down for days and weeks, because I was so focussed on getting it right in the first draft. It’s a big stress reliever now to know I can just ‘vent’ my ideas, put it aside and go back and polish it. I always find myself rewriting whole sections afterwards. I’m putting up this quote as the backdrop on my computer, so I can be reminded of this simple but sterling piece of advice. Thanks for sharing. Usually if I’m very into my story idea and imagination, I just write and don’t care, because imagination isn’t edited! And I know later on, I can make it better if I want to. I focus on the fun of writing first, then the hard work or it isn’t very enjoyable anymore. When it comes to editing, rewriting and a lot of work, I try to focus on how much I love the story, and how much it may be worth it in the end to have a better version, and then it will be much more fun to read too! You have to love your story no matter what happens. Otherwise it’s impossible to keep moving forward.